Workers Overestimate Their Employee Benefits IQ. How Big of a Problem is That? 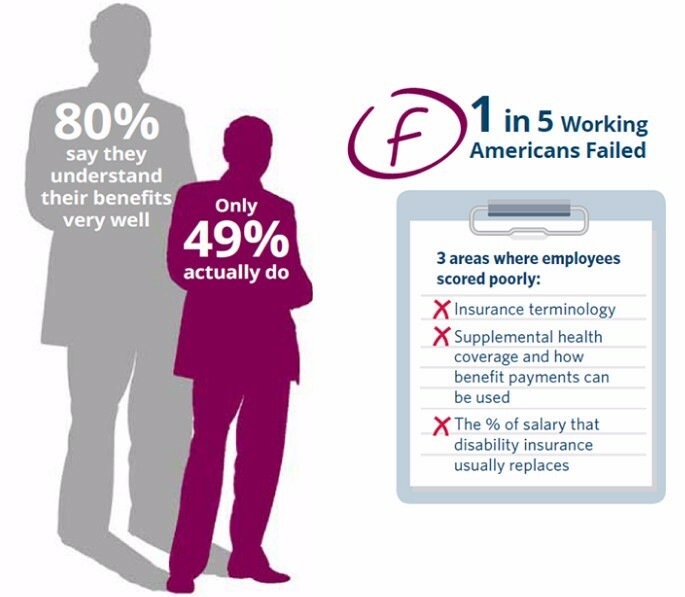 Working Americans don’t understand their employee benefits as well as they think. Guardian asked a variety of true/false questions about group insurance products and terminology. While IQ results varied, the average grade of C clearly indicates a need for more effective education and benefits enrollment support. For a complete picture, read the research brief "​Closing the Gap" from The Guardian Workplace Benefits Study: Fourth Annual.